During this series Peter Dove and other Dressage Training TV coaches will be talking about how to successfully coach good flatwork to young riders. Not only will be teaching the rider but we'll be looking at pony training too. The combination creates an easier pony to ride, but also a more skilled rider. 2 full length teaching sessions a month. Lots of short video clips explaining key concepts. Off horse explanations that allow your children to have fun and get the right feel. Covers groundwork/pony training and rider position/effectiveness. Learn how to teach your child focus and discipline when riding. You'll see full coaching sessions of Edward and Phyllis AND see smaller videos explaining key concepts. 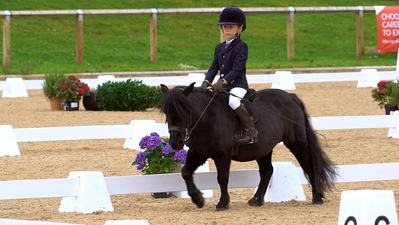 We'll show you how to train your child's pony so it is better behaved and easier to ride using our unique groundwork system designed with the rider in mind. "Thank you for the awesome Christmas gift! Tell Edward my cheeks hurt from smiling. And I'm copying his riding list." "Very impressed by how well Edward keeps his legs still and how forward moving Phyllis is. The link is obvious." 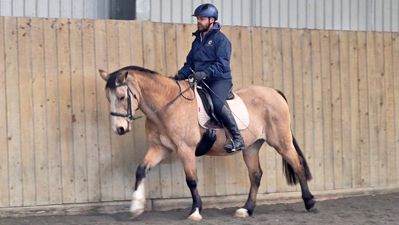 Peter Dove has been riding, teaching and learning dressage for over 25 years. In the 15 years he has been at East Soley EC2000 he has judged and taught combined, some 9000 riders competing at intro to elementary level and beyond. Over the 15 years he has developed systematics ways of explaining how to improve results competing at dressage. Peter is taught by Mary Wanless BHSI, is a certified Ride With Your Mind coach, and considers her teachings of rider biomechanics to be one of the main keys to success at all levels of riding and is forever in her debt for all she has taught. • 'Join our training sessions' - you can join us live, chat and watch us training! Multiple courses – covering everything from groundwork to rider biomechanics to competing. Over 20hrs of existing videos and courses available on sign-up. Cohesive coaching system – based on Ride With Your Mind Rider Biomechanics – no confusing or conflicting techniques! 15% Discount – a members only discount on riding products in our shop which is expanding all the time. Suitable for all levels – novices, riding school riders, experienced riders, competitive riders and coaches. Join today – and download the digital version of the book 'Master Dressage – The Basics'.